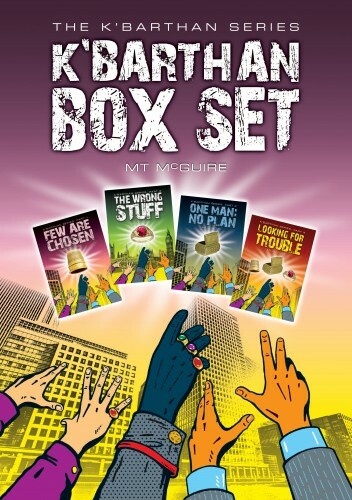 K'Barthan Box Set 40% off on Kobo. Bored by telly? Escape into a massive book, for ages. Thrills, spills, flying cars and a dash of romance (but no squelchy bits, I promise). Grab yourself the whole K'Barthan Series from Kobo with 40% off! Offer runs from 20th - 25th March. The price will then drop by 40%. If you've already read the K'Barthan Series and loved it, feel free to click the share button to spread the word about this offer on Facebook! And remember, you can use the code as many times as you want, to buy as many books as you like. You should be able to find more information on the home page of your local Kobo site by clicking this link.